Last September contributing author Rafael Gomes de Oliveira described how attending the ASCE/SEI Structures Congress launched his career in structural engineering. After living and working in Chicago for most of 2011, Rafael moved back home to Brazil. 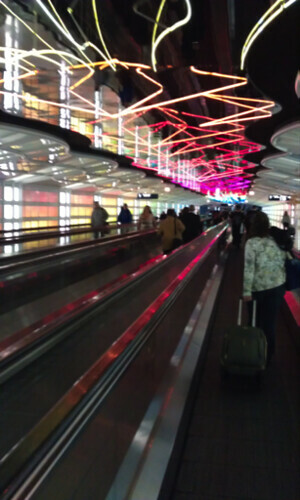 However, returning to Chicago for the 2012 Structures Congress felt like a homecoming for Rafel. 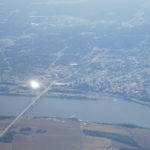 I arrived in the city on Wednesday morning after a long flight from Brazil. 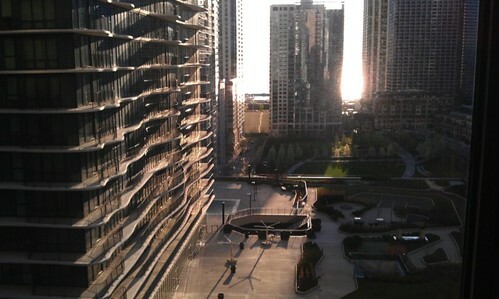 The windows of my hotel room framed an amazing view of Lake Michigan and the Aqua building (225 N Columbus Dr). The setting put me in the right mindset to make the most of the conference. I attended the last year’s congress in Las Vegas in part to find employment after graduation, and I succeeded in making great connections to achieve that goal. My focus in Chicago was to learn new trends in the structural engineering profession, meet more like-minded individuals, and continue my involvement in the Structural Engineering Institute. The first night yielded some great information beginning with Bill Baker’s (Skidmore Owings & Merrill) talk on the philosophy of design. He pointed out that architecture students often know more about the history of our profession than engineering students do. This fact needs to be addressed if we are to produce competent engineers who are able to solve our current challenges. After the lecture was over, a couple of young engineers and I asked for his advice about developing important design skills when we sometimes feel like technicians at our jobs. The key, he said, is to find ways where you can gain experience at all levels of a project. At the start of his career, he teamed up with architecture students and solved their design problems. This initiative gave him the opportunity to think about whole building systems and perform calculations he otherwise would not have the chance to perform. David Billington’s (professor emeritus, Princeton University) opening keynote address on Thursday was one of the great highlights of the entire congress. He reminded us that structural art is different than architecture, and that we should strive to pursue art in our profession and our lives. At the welcome reception that night I was able to meet people from Albania, France, Hawaii, and even someone who was born in the same Brazilian city where I grew up. Later in the conference, I was able to talk to old friends and meet some new ones at the very enjoyable Mid-America Club reception. Before calling it a night, I had the pleasure to attend the Tall Buildings committee meeting where I met many professionals and learned about the latest challenges in high-rise building analysis, design, and maintenance. Aside from learning the technical aspects, it was very interesting just watching how these well-established engineers and academics interacted. They can be very fun while talking about serious subjects and accomplishing important objectives. Friday also produced some great technical sessions including the history of Chicago’s high-rise structures and wind loads on super-tall towers. During lunch, I participated in the Young Professionals committee meeting and had some great discussions about our goals and methods to engage members. The committee’s involvement in the Chicago’s congress was very noticeable, as exhibited by the greater participation of students and young professionals. Those younger members were able to join events specifically tailored for them, and they are now definitely more likely to attend future congresses and engage in SEI and other professional activities. Later in the evening, the young professionals committee went out for some Chicago-style pizza. I ended my congress experience with a few more technical sessions on tall buildings and a great closing speech by Glenn Bell (Simpson Gumpertz & Heger). He touched on a point that I find critically important not only to engineers, but to all professions: the danger of overspecialization and fragmentation of knowledge. If we are to create the proper conditions for the next generation of structural engineers to prosper, we need to make sure that they have a holistic view of the problems they are trying to solve. He definitely set the bar very high for our profession, and I admire him for it. After all, to paraphrase Robert Browning, a man’s reach should exceed his grasp, or what’s a heaven for? Before returning to Brazil, I had just enough time to catch up with a couple of friends and take an architectural tour of the great city of Chicago and. On the 5,000-mile return trip I looked back at all that happened during those few. I am very thankful for receiving scholarship support to attend such an amazing event. The opportunities are out there for those who know where to look and are prepared to take advantage of them. I am sure that next year’s congress in Pittsburgh will be just as important for the professional and my personal development. I hope to see more young engineers there next year.